When an organization breaks the law, the actual actions must be taken by individuals associated with the organization–whether it’s a rogue individual or a vast internal conspiracy. So who’s culpable and for what? 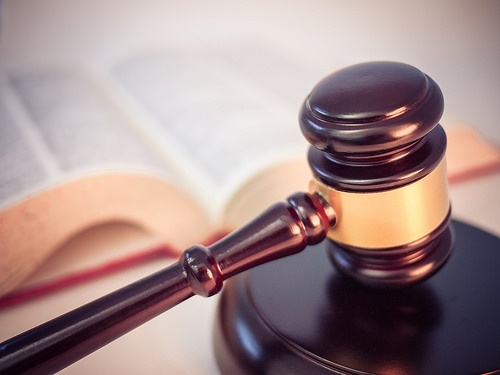 Laws often provide civil liability for most violations and criminal liability for the most severe, and many include parallel provisions addressed both to organizations and individuals. Most enforcement agencies produce enforcement and prosecutorial guidelines for agency personnel to provide criteria that channel their “prosecutorial discretion.” Variations in such guidelines may tend to keep organizations and their personnel aligned – as when they’re all going to be prosecuted together anyway–or may encourage fissures between them – as when one can reduce its own liability by incriminating another. How Has DOJ Approached Individual Prosecutions For Organizational Wrongdoing? DOJ has repeatedly adjusted its policies for prosecuting individuals in organizational wrongdoing cases. In 2003, DOJ issued an enforcement policy seeking to separate organizations from their agents – telling organizational defendants that indemnification of their officers (i.e., paying their defense costs under employment contracts and bylaws) would be interpreted as support for the individuals’ malfeasance, precluding DOJ from applying lenience to the organization for having “cooperate[d] in the investigation of its agents” (the “Thompson memorandum”). This policy was intended to prevent organizations from shielding their personnel, and so to encourage more individual prosecutions. However, this policy was rescinded after a 2006 court decision excoriated DOJ, holding that the policy violated individual defendants’ Constitutional rights by exerting undue pressure on organizations (U.S. v. Stein). In 2006, DOJ softened the offending policy by reemphasizing that many criteria may apply to charging and prosecutorial decisions, and stating explicitly that an organization’s decision to follow state laws and establish indemnification provisions would not be considered a failure to cooperate sometime later with federal prosecutors (“the McNulty memorandum”; later enshrine in the U.S. Attorneys’ Manual section 9.28). Thus, DOJ policy for nearly a decade has not explicitly attempted to pit organizational defendants against their individual human agents – but also has not provided clear guidance to prosecutors in determining whether to proceed against organizational defendants, individual defendants, or both. During these years, the trend has been toward fewer prosecutions of individuals, even where it seems likely that top managers were integral participants in financial or regulatory violations. This lack of headline-grabbing prosecutions has produced a political backlash and pressure to re-balance prosecutorial policies. How Does DOJ’s Newest Policy Favor Individual Prosecutions? “To be eligible for anv cooperation credit, corporations must provide [DOJ] all relevant facts about the individuals involved in corporate misconduct. Both criminal and civil corporate investigations should focus on individuals from the inception of the investigation. Absent extraordinary circumstances, no corporate resolution will provide protection from criminal or civil liability for any individuals. Corporate cases should not be resolved without a clear plan to resolve related individual cases before the statute of limitations expires and declinations as to individuals in such cases must be memorialized. If organizations respond to these incentives by providing incriminating facts about individuals, the new policy will tend to create wedges between organizations and their personnel, which DOJ is now pledging to prosecute more vigorously. It remains to be seen how these incentives will actually be applied by prosecutors, followed by defendants, and reviewed by courts. Has the organization established compliance and/or ethics programs to prevent and detect violations of applicable laws? Do formal organizational policies define standards and procedures for agents and employees? Are specific high-level personnel assigned responsibility and authority to ensure these standards and procedures are followed? Does the organization provide training and/or other means to communicate standards and procedures effectively to its agents and employees? Is there an effective program for enforcing these standards (e.g., monitoring and audits)? Are there internal reporting mechanisms (including protections against possible retaliation)? Does the program include clear and effective disciplinary mechanisms? Does the program provide for immediate and appropriate steps to correct the condition giving rise to any detected offense or violation (e.g., program changes and individual disciplinary actions)? Does the program include provisions for self-reporting to appropriate authorities? Does the organization have formal policies to cooperate fully with inspectors and auditors from regulatory and enforcement agencies? If so, are responsible individuals assigned as points of contact, for organization staff and for agency personnel (this will strengthen reporting mechanisms, while also creating an opportunity for responsible personnel to manage disclosures)? If so, do these policies make clear the extent to which the organization will withhold or supply information to agency personnel even when such information may tend to inculpate individuals? Does the organization implement these measures effectively? Are training, audits, and monitoring actually provided, and documents? Has the organization ever detected a violation? Has an agency inspector ever detected a violation? What was the organization's actual response to detected violation(s)?